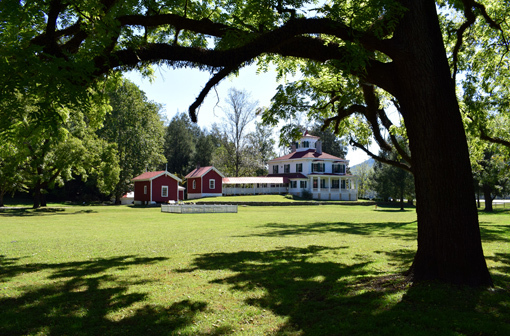 The 173-acre Hardman Farm State Historic Site, restored and donated to the State of Georgia in 1999, had only three owners and nearly 100% of the furnishings in the main house, a mansion, are the originals from the 1870s! 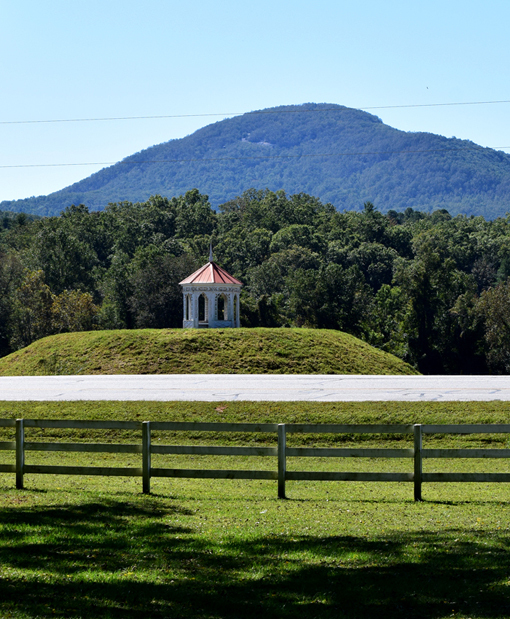 The copula saved this Indian Mound. There were many others in the area, but the other burial grounds were destroyed—not even moved—for farms and development ages ago, making this a rare sight in the area. It's believed that this site was used long before the Cherokee Indians inhabited the area. We were told that the Nacoochee Indian Burial Mound is "the second most photographed site in Georgia". Now I wish I'd asked what the most-photographed site is! But that aside, you can see why it captures the fascination of so many visitors. I visited late last year with my friend Wayne who is an expert on National Parks, Georgia State Parks, and National Historic Sites. In fact, of the 418 National Park sites, he has visited 354. In Georgia, there are 63 parks and historic sites and he's been to all but one! I was in good hands for this exceptional experience. I've not posted this until now because this particular Site is closed January-February. 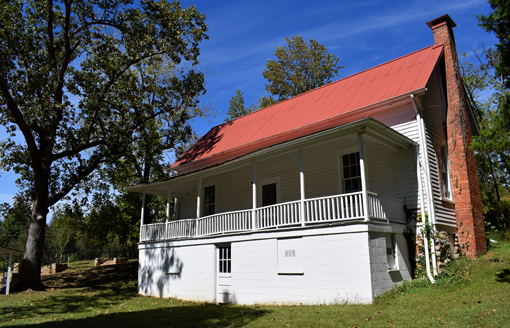 Watch your noggin' when you're walking toward the mansion along the oak-lined Unicoi Turnpike—a Native American trading route through multiple states that predates written history! It offers a beautiful vista, but there were walnuts—still in their casing—falling all around us. We picked up our pace! 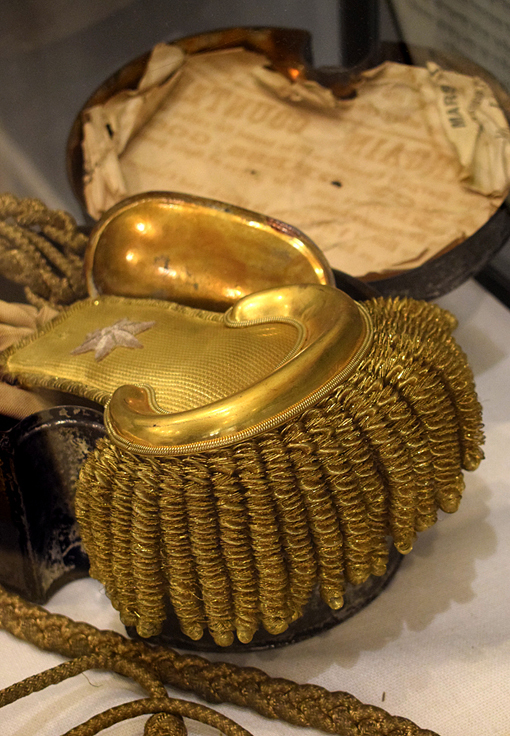 In the Visitor Center in a display case, you'll find a number of artifacts that belonged to the original homeowner Captain James Hall Nichols—including his WWI epaulets. He built the house in the Italianate architecture style in what was originally known as "West End" because it was at the west end of the Nacoochee Valley. 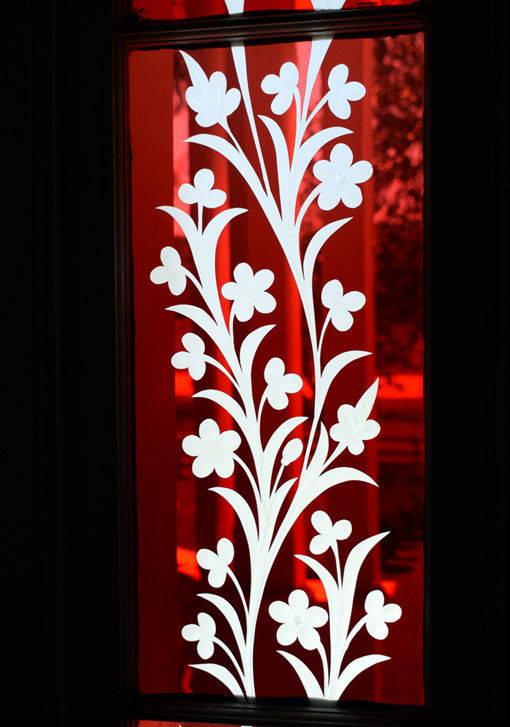 When you go on your guided tour, take a good look at the glass around the front door before you go in. On the other side of the threshold, you're going to see something magical! What appeared to be black glass is brilliant red from the inside. 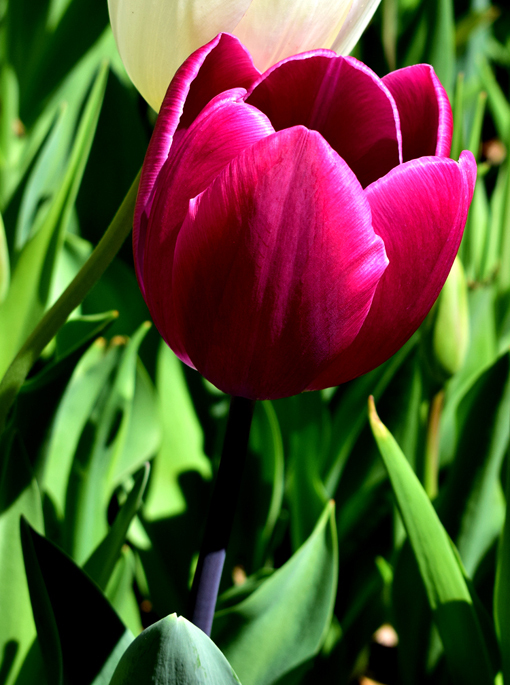 Red is my favorite color, but even if it's not yours I think you'll be fascinated! This 1870 home had only three owners, and the last two owners used it only as a summer home, so they saw no reason to change the furnishings. 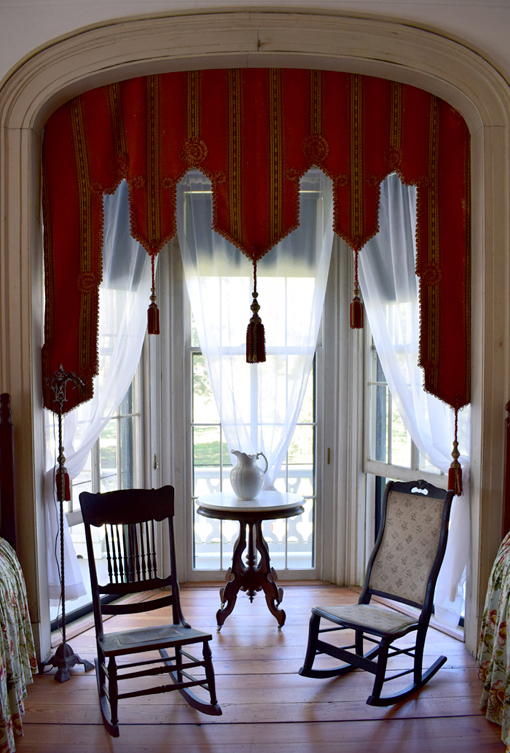 This means that today's visitors have a rare and totally awesome pleasure of touring a fully furnished 1870 home with its original furnishings! 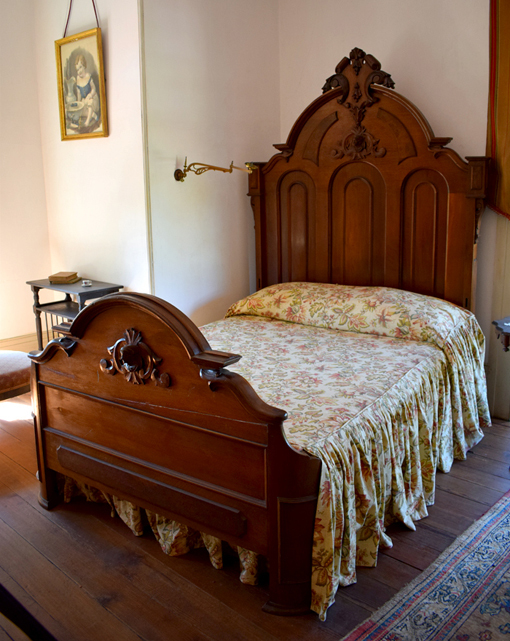 Those original furnishings include these beautiful bedspreads, as well as the curtains throughout. 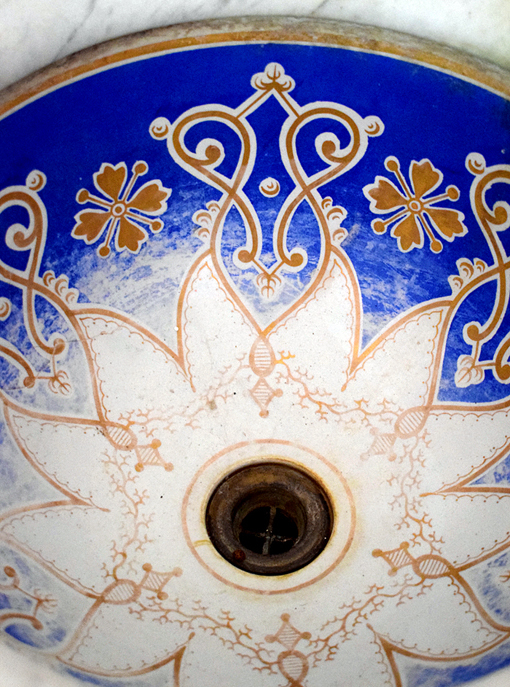 One of the most opulent objects in the home is a daughter's sink in her bedroom. It's worn over the years, but it's also obvious just how grand and how special it was when it was new. 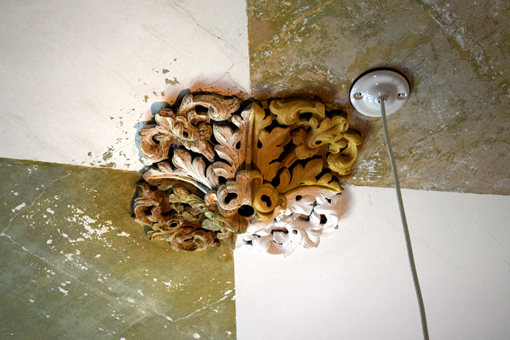 The Dining Room was my favorite spot on the tour, because of two fascinating stories emanating from there. The first is the telephone. 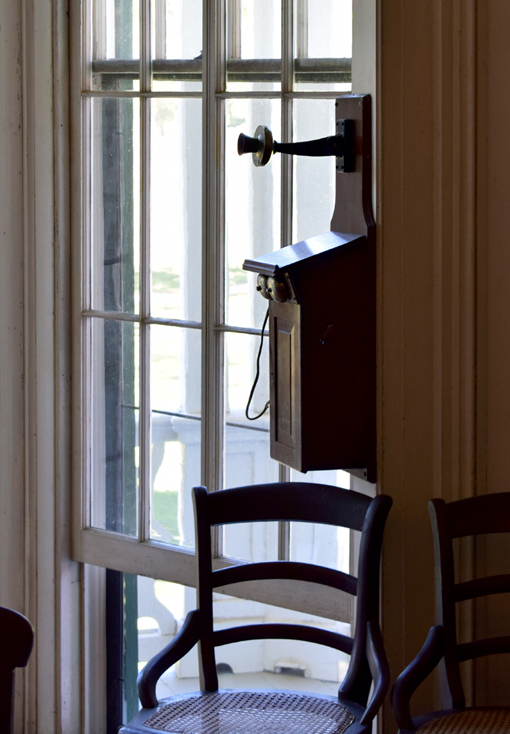 In a time when so few had a telephone, and most who did had it in the main hallway, this one was in the Dining Room and used to call the power station to ask that the power not be turned off at the regularly scheduled time, typically because the host's dinner party was running later than the power company kept electricity flowing to the town. Talk about power! The other story is about the Death Door. It'd been a long, long time since I'd heard about this superstition, but now I've seen it first hand! A separately built/installed death door exists for the sole purpose of allowing for the dead to move through the said door without the living needing to use it. This was popular in the time when the wealthy would host wakes and funerals in their homes. You won't see wallpaper or brightly colored walls in the house, but there's one room in the that showcases various finishes throughout the home and popular to the period. Hardman Farm has an impressive 19 outbuildings, each being built and serving a different purpose throughout time. The Site offers a "Historic Estate" Guided Tour on the hour or you can enjoy a self-guided tour, but that does not include mansion entry—the highlight of this destination. 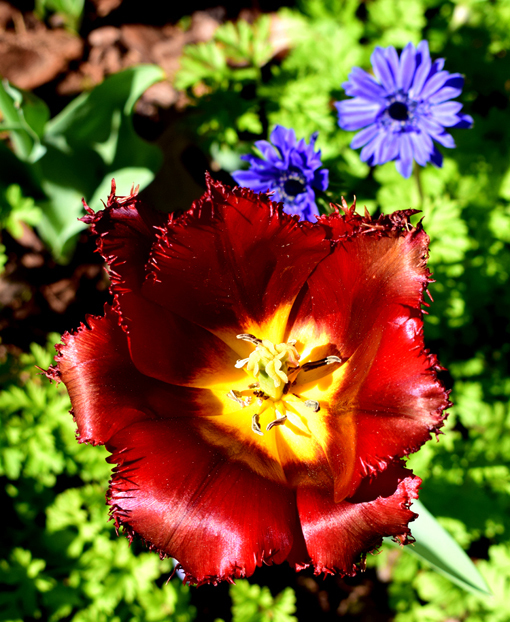 I hope you'll enjoy Hardman Farm Historic Site in its entirety. It's a truly special place. 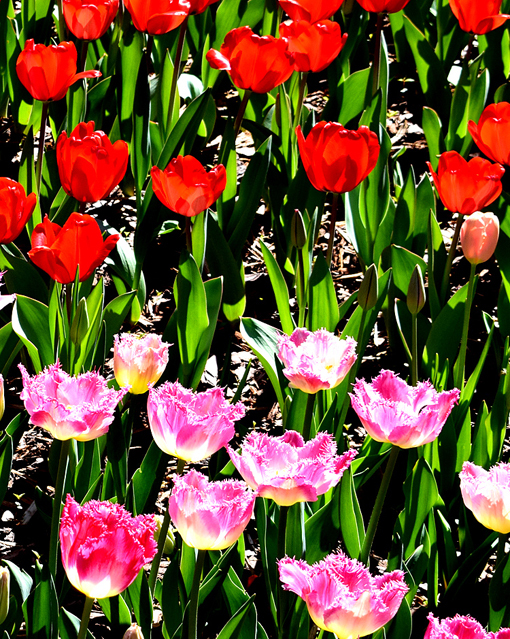 And it's only a few miles from Bavarian-style Helen, Georgia, so there's lots to do on this day trip, weekend getaway or North Georgia vacation! 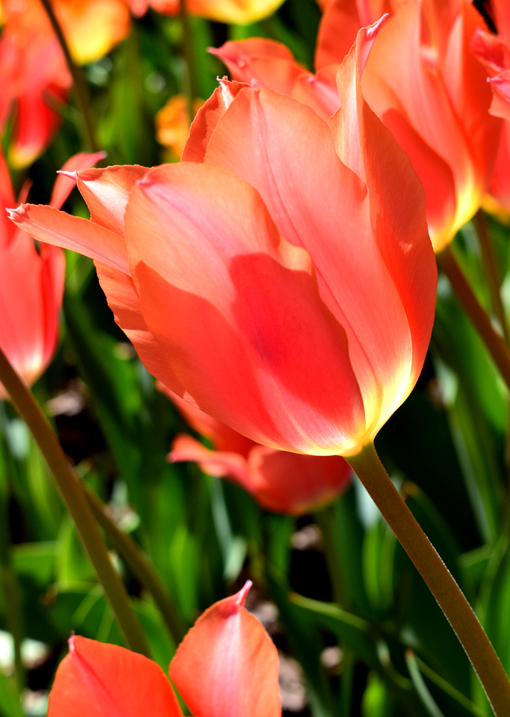 Your escape from winter doldrums is at the Atlanta Botanical Garden in the form of their spectacular annual Orchid Daze exhibition, on display now through April 8. 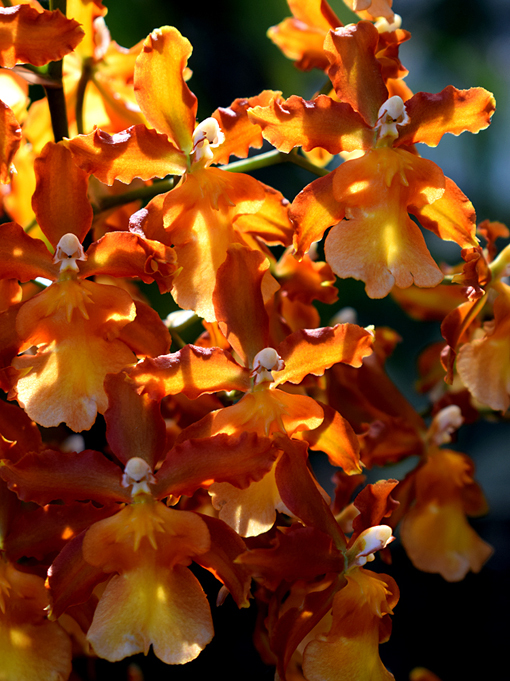 The Dorothy Chapman Fuqua Orchid Center is home to one of the largest orchid collections in the U.S., featuring more than 2,000 species of the 25,000 species of orchids around the world. 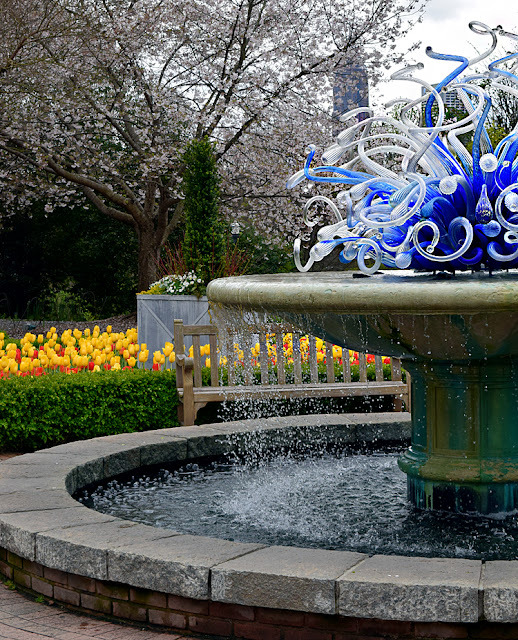 This annual exhibition features additional thousands of orchid blooms during the coldest time of the year...the perfect excuse to visit the Atlanta Botanical Garden in winter! 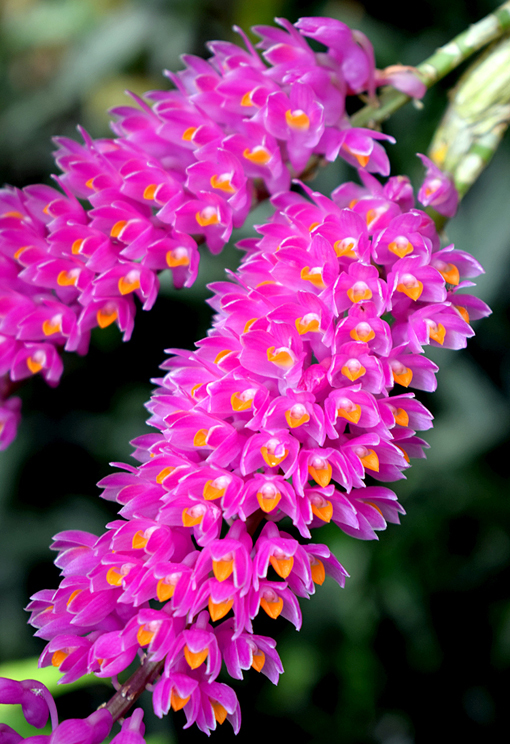 Presented in the Fuqua Conservatory and Dorothy Chapman Fuqua Orchid Center, this annual exhibition complements the country’s largest permanent collection of species orchids—more than 2,000 species—with thousands more bold, bright flowers and tropical foliage. 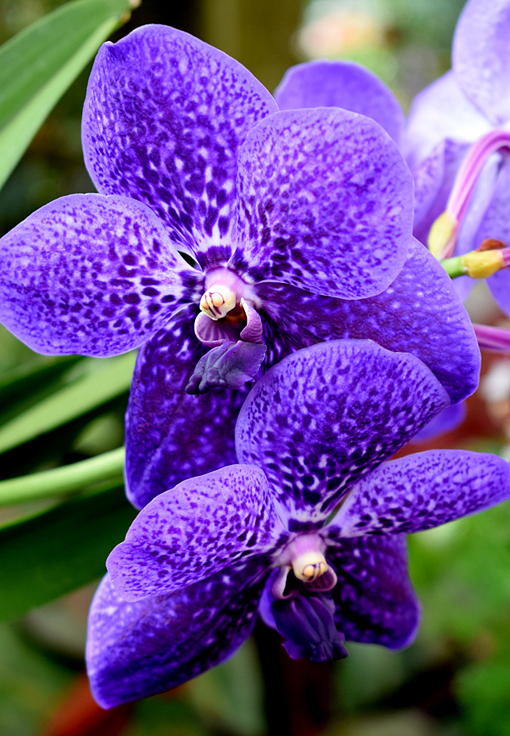 Jewel-toned Vandas will be the highlight of the Orchid Display House. 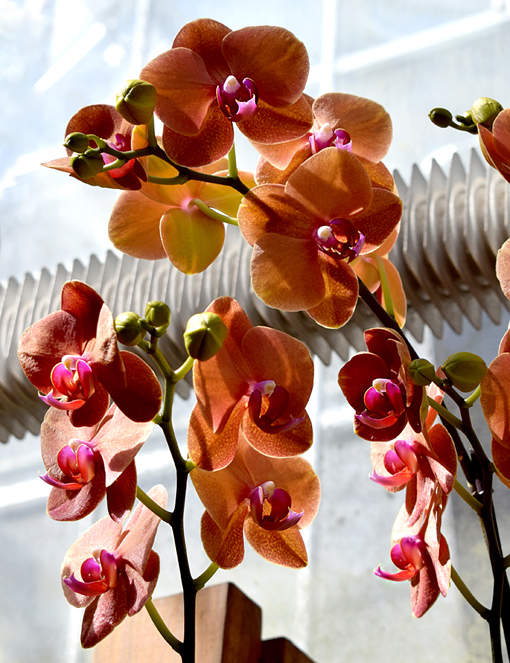 Striking geometric forms, designed by Ryan Mathern, will provide a hanging framework for blue, pink, yellow and orange Vandas—among the most spectacular of the large-flowered orchids. 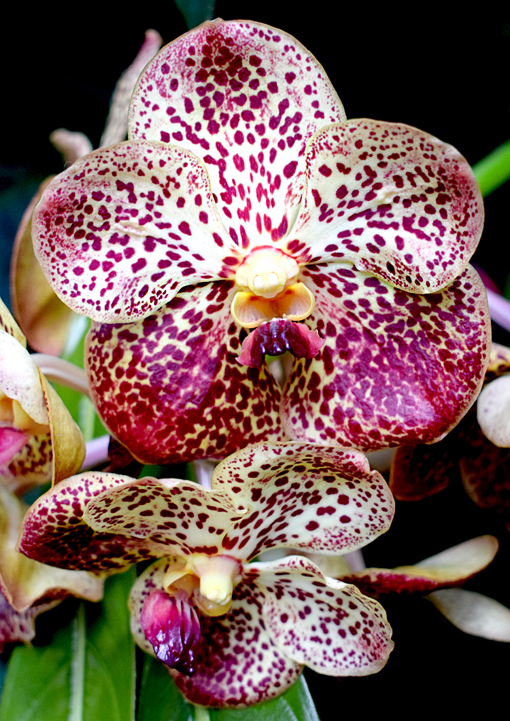 Orchid Daze finds the most avid orchid enthusiasts examining even the more commonly known orchids in great detail. 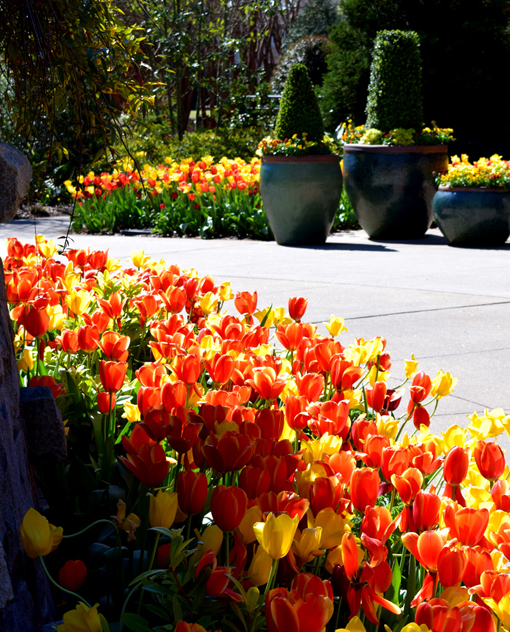 The Atlanta Botanical Garden itself has a decades long program that involves orchid research and conservation. If you entered the Orchid Center through the Conservatory, just beyond the display rooms you'll find an observation window looking into an orchid research lab. There's even an Orchid Library, one of two of the Garden's libraries. 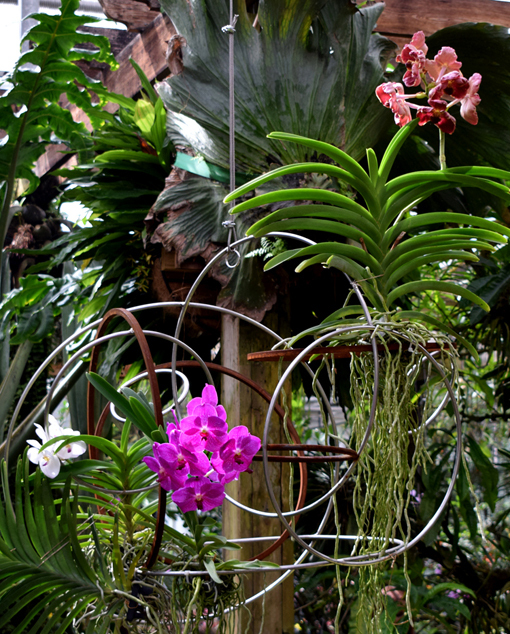 The primary display in the Orchid House, home to orchids 6,000 feet elevation and below, is enhanced with geometric forms and towering almost to the ceiling. Orchid Daze is always supplemented with other tropical plants. One of this year's is a real treat. It's a dozens of Nepentheses Pitcher Plants! If you noticed the green Chihuly chandelier when you entered the Garden through the Visitor Center, you've seen a Nepenthese Pitcher Plant! That sculpture is from the Chihuly exhibition of 2004. It's one of the two sculptures the Garden kept after the exhibition, this particular one being a gift from a Garden member, gifted in memory of a friend. 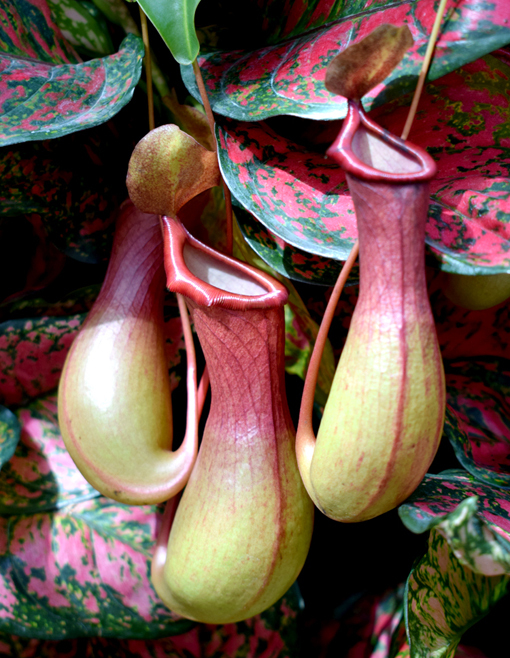 At the top of the chandelier are three maroon lipped pieces that were designed after Nepenthese Pitcher Plants...actually, from live plants from this Garden! 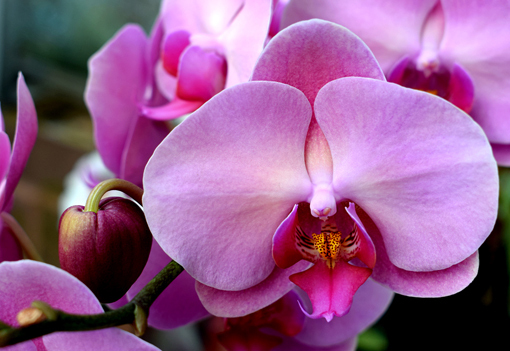 As part of the Orchid Daze extravaganza the Atlanta Botanical Garden is offering FREE Orchid Care Clinics! 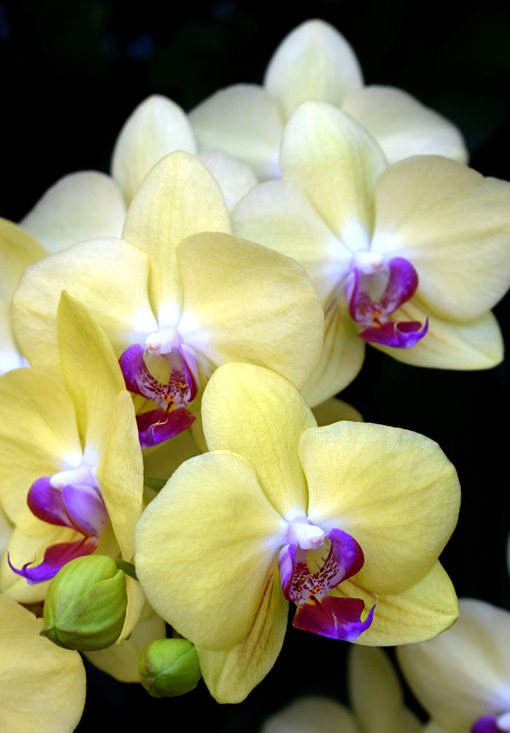 You can bring in two orchids to receive care and you can get new planting material for a nominal fee. There are a couple more Orchid Market Weekends where you can pick up an orchid or a few, as well as supplies, orchid advice, orchid art, and jewelry! 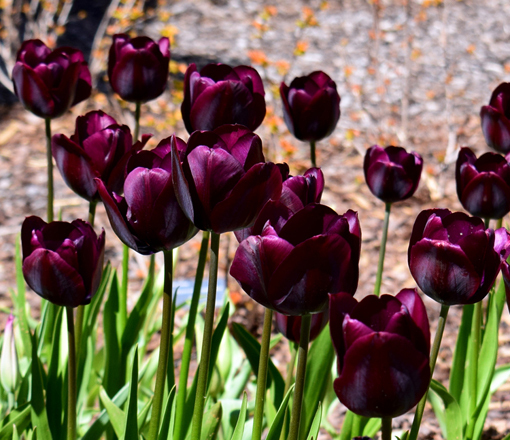 I like to take this time to remind my readers, especially those who are serious orchid enthusiasts, to read The Orchid Column by Becky Brinkman. 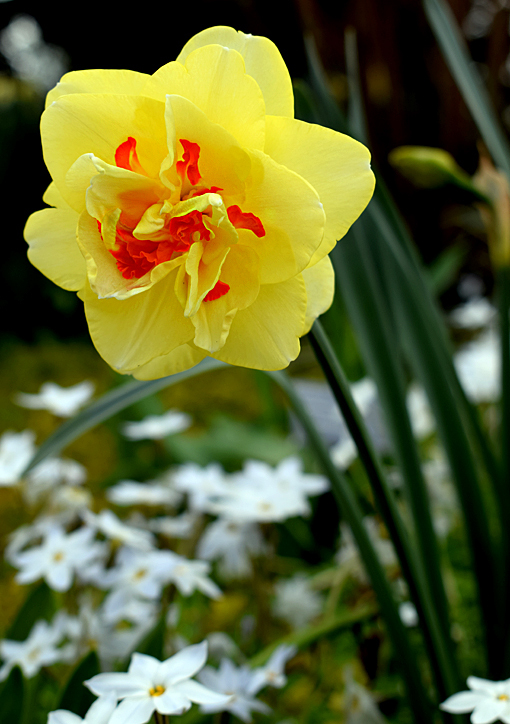 It's free and Becky does her own photography—she's brilliant! 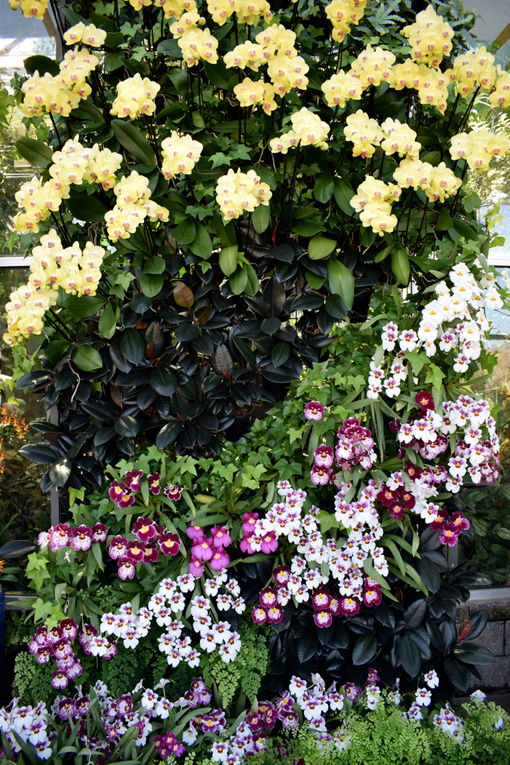 "Towering" is the word to describe this year's Orchid Daze exhibition at the Atlanta Botanical Garden. 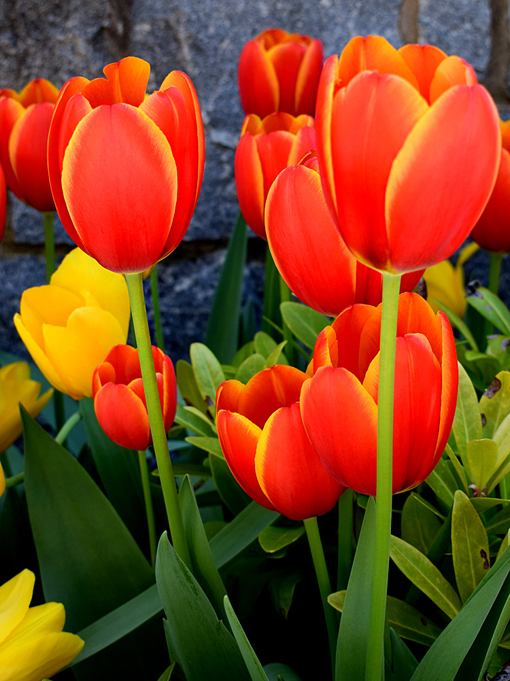 Crane your necks upward and prepare to be wholly delighted. 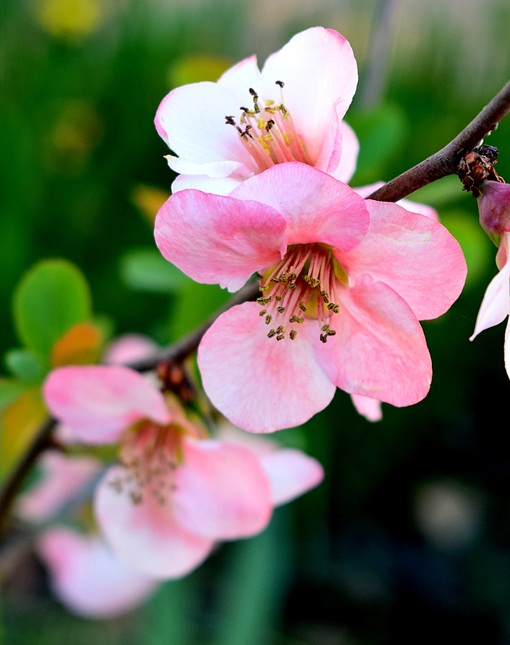 Make your way to the Garden by Sunday, April 8 to see the magnificent thousands of extra blossoms!